After graduating from University of New York in Prague as valedictorian, Radek was accepted into a Master’s program at London School of Economics. It was during that time that he met a couple of senior investment bankers who led him back to Prague. They launched a new financial company known as Roklen that would combine traditional financial services with cutting edge technology. “New products are being launched that couldn't exist before and traditional services can be provided cheaper and faster,” Musil says. The company has launched products that haven’t been available in the Czech Republic before. Fundlift provides benefits for both companies and the people who invest. Since Roklen has full-scale licences from the Czech National Bank, Musil and his colleagues can take care of the issue of securities in house. Fundlift users can invest into bonds, convertible debt and straight equity offered by individual projects, something that no other platform offers. Since launching in May 2016, Fundlift’s reception has been better than expected. They have about 6,300 investors and out of 25 projects, only one failed to get funding on the platform. Now only a few years after graduating, Musil is responsible for management of the company and spends his days meeting with clients, establishing partnerships with third parties, managing the preparation of new campaigns, structuring of the issue of the securities and much more. In 2018 Radek Musil also appeared in the Czech Forbes 30 under 30 list that celebrates brightest young entrepreneurs, leaders and stars. 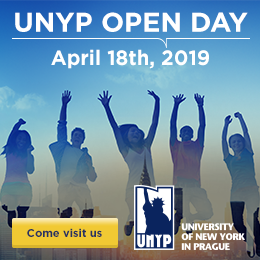 His advice for students attending UNYP: "Try to get as much as you can from each of the lectures and don´t be afraid to ask questions. Talk to various alumni about what they do in order to get an opinion on where would you like to end up once you graduate. Once you realize which field is yours, try to get an internship as soon as possible."